Guadeloupe, located in the Lesser Antilles between Dominica and Antigua, is a stunning butterfly-shaped archipelago composed of five islands that showcases French and Caribbean cultures. It has been a sailor’s dream destination for centuries and known best by the name “Karukera”, or the islands of beautiful waters. The wings of these islands are comprised of Guadeloupe’s main islets, Grande-Terre and Basse-Terre, which are vastly different in geography and activities. Grande-Terre’s flat terrain and rocky edges are dotted with beaches, such as Plage Caravelle that beckon sunbathers the world over. In sharp contrast is Basse-Terre, known for its lush humid atmosphere, waterfalls and volcanic peaks. These contrasts are just the beginning of what Guadeloupe has to offer travelers who reach its shores. Highlights: Sail to historic ports of call, such as Les Saintes Bay, a well worn haunt of pirates long ago and still retains its charm. 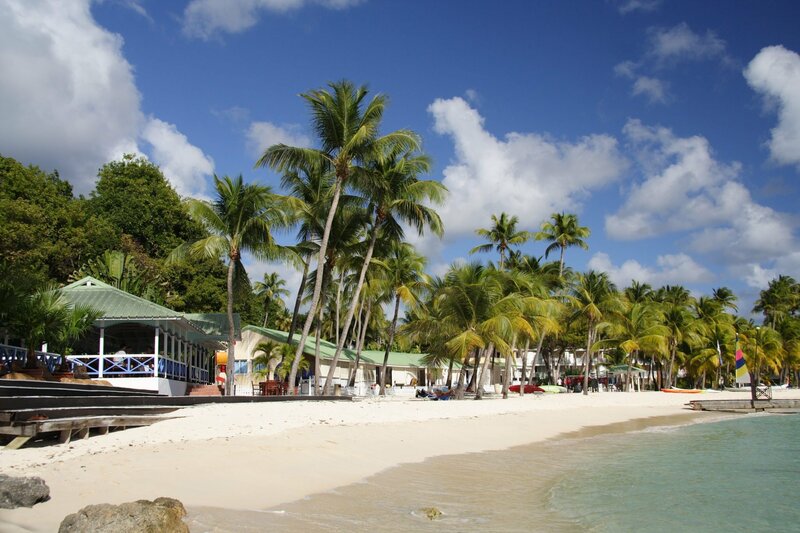 If you are looking for a more cosmopolitan port, Deshasies Bay on Basse-Terre is for you. It is considered one of the most beautiful ports where you can find food and shopping with a cultural twist of the region’s many nationalities. Surfing: If the waves call to you then surf’s up as this is a perfect destination for chasing the swell. Basse-Terre receives S to SE swells and Grande-Terre receives the Atlantic swells. Though surfing is good and consistent all year, winter is best with an average of 4 to 10ft surf. Diving: Guadeloupe’s versatile landscape is not limited to above the water line but extends to the magnificent landscape underwater. It offers a unique diving experience with something for everyone at all skill levels. The islands form a basin that is home to the Cousteau Marine Reserve with its tunnels, swim-throughs, caves, shipwrecks, turtles and an incredibly dense fauna. It will not disappoint. On land: Enjoy paradise-like features with gorgeous beaches, volcano, rainforest and a diverse and dramatic landscape. Carnival: It’s one of the most important festivities in Guadeloupe. This European import is now part of the Caribbean culture and is held each year from January through to March. It is a feast for the senses with colorful costumes, lavish parades, music filling the air and sumptuous food to taste. Rum tasting: As you are in the Caribbean, rum tasting is on the agenda. Rhum Agricole is Guadeloupe’s signature drink made with sugar cane juice instead of molasses. Take a self-guided tour at one of the islands largest distillery, the Damoiseau in Le Moule and discover how this elixir of the islands is made. Tasting is a must. Dining: The French and Caribbean collide into the perfect mix of spice and decadence. You can shop in markets where tropical fruits sit next to croissants, – making for the perfect breakfast. Dine at a mix of European and/or Caribbean restaurants, which will satisfy any foodie. We’ve touched on what awaits you when you arrive. 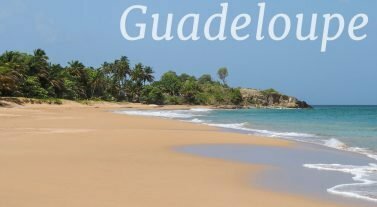 You are just a flight away from Guadeloupe and there are non-stop flights during different seasons from three major airlines servicing five major cities. As well as our base in Guadeloupe we have opened new bases in Malta, Madagascar, Belize, St. Lucia and Exumas, giving you more destination choice than any other charter company. Learn more about our new bases and our fleet, get a quick quote, or tell us your needs at infona@dreamyachtcharter.com or talk to us on 855.650.8902.